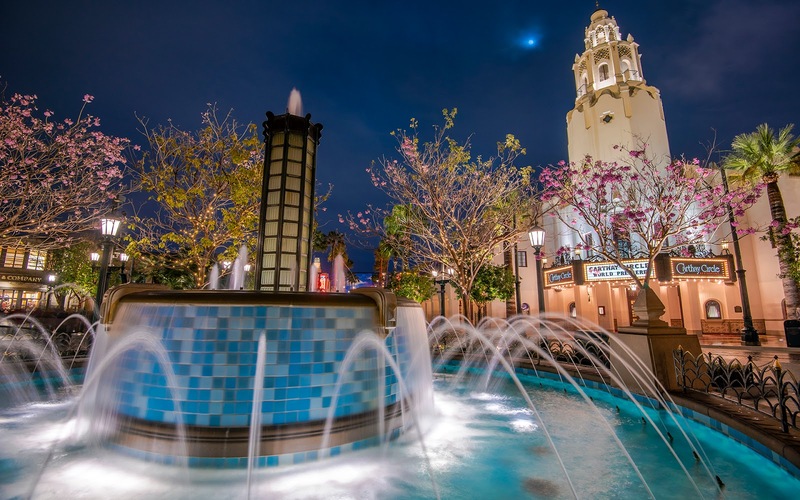 The Carthay Circle Fountain is a lovely sight at night, with its luminous streams of water and beautiful blue art deco tilework. But when the tabebuia trees that surround it start to bloom during the late winter, this hub of Disney California Adventure becomes even more glamorously magnificent. The floral pinks contrast wonderfully with the turquoise and blue, and the iconic tower in the background completes a romantic and cozy scene. You can almost feel spring around the corner! Blossoms surround the Carthay Circle Fountain as springtime approaches.